Kreative Jewels: Ham It Up! Our Creative Construction with Blueprints Challenge is all about stitching this month! Like most of you, I LOVE all the stitched elements included in many of the Blueprints. 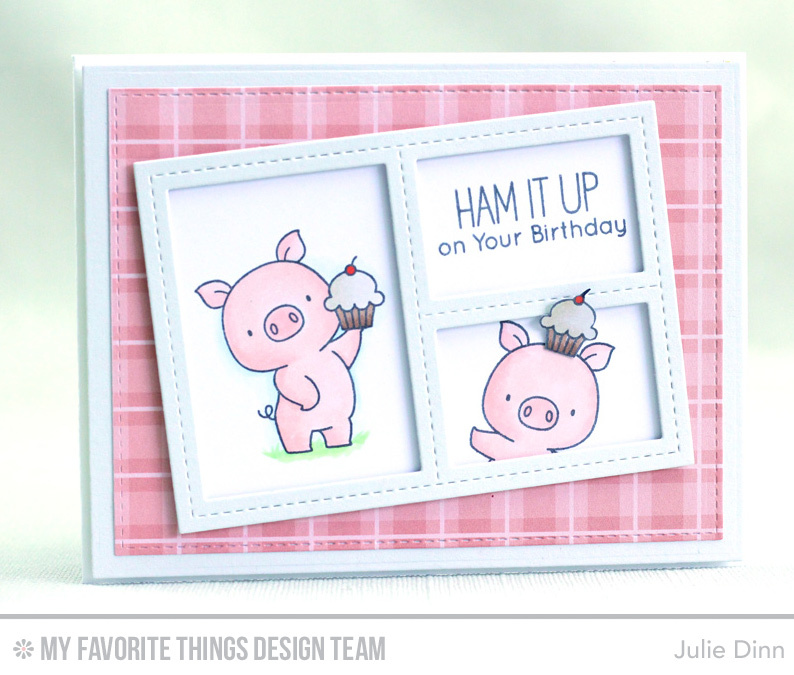 For my card today, I paired the new Hog Heaven stamp set with a few of the dies from Blueprints 29. I stamped the sweet little pigs on X-Press It card stock and coloured them with Copics. I framed the pigs with a stitched frame from Blueprints 29. The patterned paper is from the fabulous Country Fair Plaid Paper Pack. Be sure to check out the MFT Blog to see all the fabulous creations the team has to share with you today. This card made me laugh, not just smile, but laugh! Such a cute fun card. Love it!